I'm campaigning to rename 'newsletter', but I know it will take Google forever to catch on. 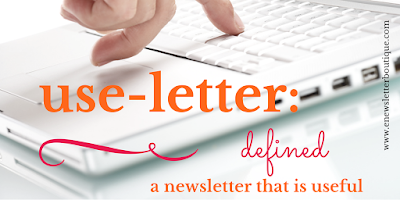 Do you sign up for newsletters in excited anticipation of getting company news? I didn't think so. Granted a newsletter can be a great source of industry news if it's timely. But that's only one strategy. The main goal of your newsletter strategy should be to provide value. No 'news' in that equation. How about... ? Whatever you call it, don't make it all about your company news. Give people a better reason to subscribe.